There is a reason 'Finding Balance' is a chapter in my book - living 'sustainably' is a constant balancing act. Don't get me wrong, there are many effortless days, when it has become routine to use all natural body and beauty products, separate my rubbish into various recycling elements and use my trusty travel pass to dash around the city via public transport. Then there are days like these, when I find myself in an interesting eco-conundrum; the latest confusion is due to the delicious Pressed Juices store that has recently opened up in Manly. I am seriously obsessed with these little bottles of goodness! In addition to fashion and the environment, I have a passion for what I'll call 'health foods'. I am by no means an expert, there are plenty of other bloggers with that expertise. But I have been known to follow health food fads. First it was goji berries - I didn't love the taste but I kept tossing them into my cereal anyway. I quickly fell in love with Acai bowls (I could go for one right now, actually). And quinoa, kale and I have been in a serious relationship for awhile. I've never been big into juicing, generally preferring to eat my fruit and veggies whole to take advantage of the fibre in the pulp. But something about the cold pressed juice craze has sparked my attention. I think it has to do with the claims of "up to 5 times more vitamins, minerals and enzymes" of other juices. Well, that, and knowing that with one green juice I can get a serious serving of leafy greens. It also helps that they are crazy delicious. If you can't see the eco-conundrum I'm facing based on the photos I'll tell you - it's the plastic bottles. 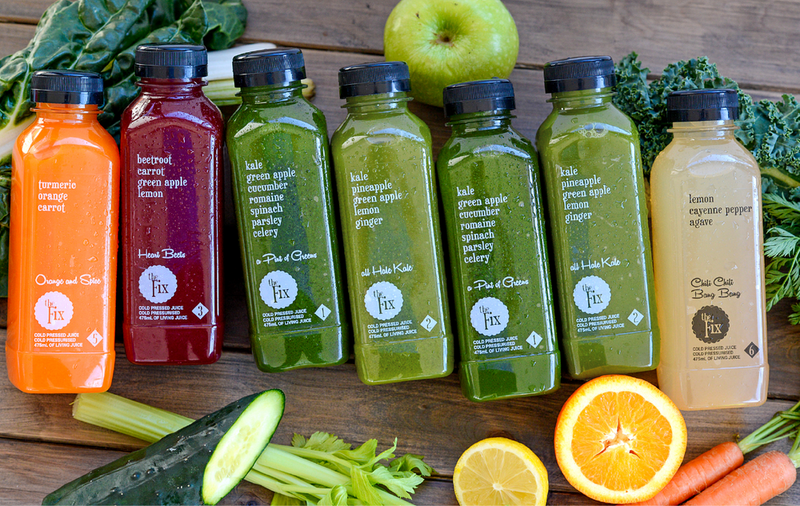 I confess I've had 4 green juices over the past 5 days, and I think I may get another one today. Yikes! That is a serious increase in my plastic consumption! Of course I am recycling the bottles, but I know that recycling plastic requires energy and the quality of the plastic is lessened with each recycle. There has to be another way! I don't know that I'll follow this cold pressed juice craze for too long, and unsure it would be worth investing in a machine for myself. Besides, based on my schedule I don't know that I'd have the time to source all the ingredients and make myself one a day. So, I'm afraid this isn't an eco-solution today, readers. In fact, I'm seeking your guidance. Do you have any suggestions on how I can participate in this delicious health fad without all the plastic? Or shall I just start communicating with these lovely companies, asking them for refillable containers?